With the Mueller report completion, in timing that was perhaps the most perfect “Friday night news dump” ever, the networks broke in shortly after 5 p.m. eastern. At was at that time that a letter was sent to Congress information them of the investigation’s completion and possible next steps. NBC used its normal special report open but placed Lester Holt in front of a video wall backdrop that had a stylized, italic sans serif “The Mueller Report” logotype along with a collage of photos and motifs borrowed from the America and Russian flags. 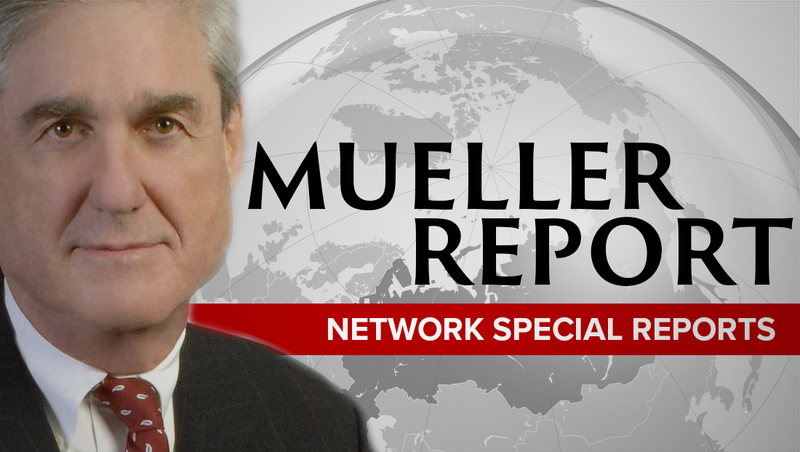 ABC News had chief anchor George Stephanopoulos reporting from the “ABC World News Tonight” set with a special open that seemed intent on using the word report as many times as possible: “This is an ABC News special report: The Mueller Report. Now reporting, George Stephanopoulos.” The network also developed a special logotype that was, in an unusual move for it, only three words long. CBS, meanwhile, used a blue-gray motif with corner accents and super clear “The Mueller Report” logotype. The network didn’t use its normal special report open, instead opting for anchor Jeff Glor to give the intro himself. CBS also updated its lower third graphics with a match color scheme.